So what different fossil types are there? 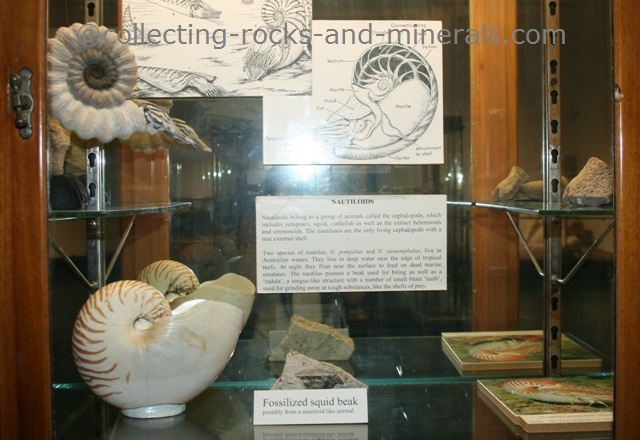 For example plant, animal, ammonite, nautilus, amber, coral, fish, whale, dinosaur and dinosaur egg fossils. 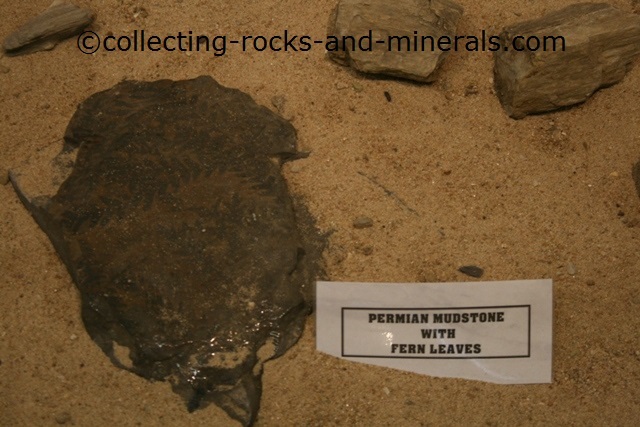 There are many different types of plant fossils such as algae, lycopods, horsetails, ferns and seed ferns, petrified wood and more developed plants such as conifers and angiosperms. The first land plants developed during the Ordovician Period while lycopods date back to the Devonian. Other important steps were the development of vascular plants and flowering plants. 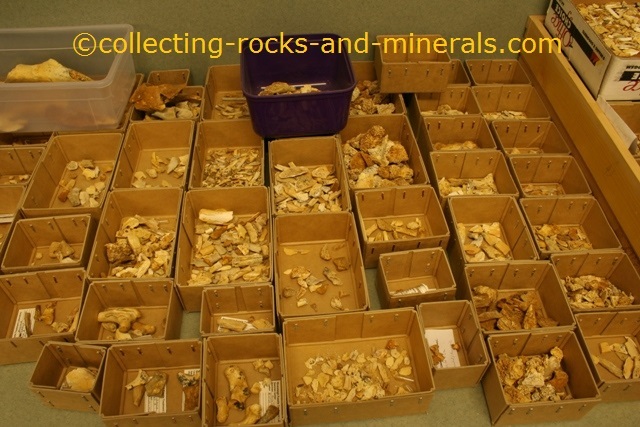 The vast majority of animal fossils are those of small marine animals such as worms, foraminifera, graptolites, bryozoans, sponges, corals, trilobites, chelicerates, bivalves, chitons, scaphopods, brachiopods, gastropods, ammonoids, nautiloids, crinoids, echinoids, belemnoids and crustacians. Others include insects, fish, amphibians, reptiles, birds and mammals. 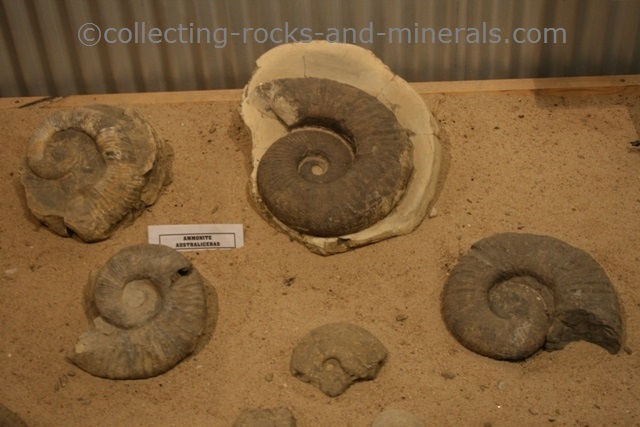 Ammonoids were a type of cephalopods that evolved from nautiloids but have by now gone extinct. Both are some of the most developed molluscs that have internal chambers in their shells which enable them to control their buoyancy. 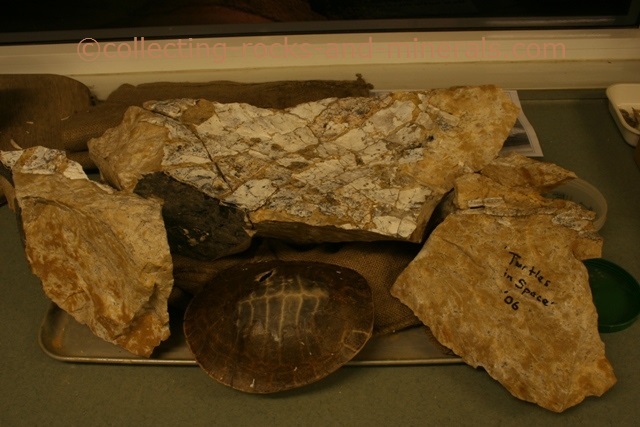 Their fossils can often be found in rocks that date back to Mesozoic and late Paleozoic eras. Nautilus is the only genus of nautiloids that has survived until today. The first nautiloids evolved during the Ordovician Period. They are carnivores and good swimmers. They are similar to ammonoids, but can be distinguished from them by their suture patterns, which are either straight or curving only gently. Amber is the fossil of ancient coniferous trees (which have gone extinct). It often contains fossils of insects, spiders or small vertebrates which have got trapped in the sticky substance at the time when the amber formed. 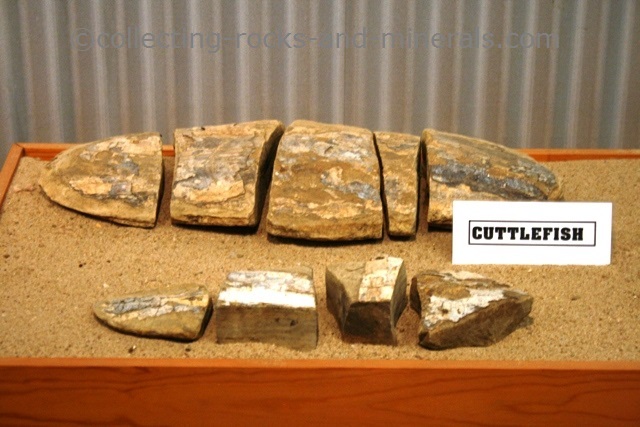 It can be transparent or transculent and it can be found in sedimentary rocks. 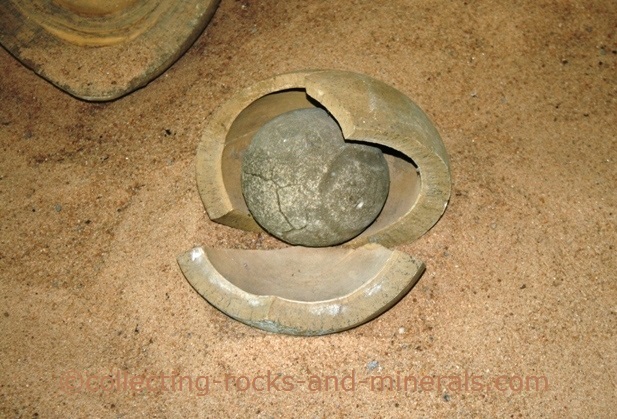 Some of the most famous deposits are found around the Baltic Sea. Corals first evolved in the Ordovician Period. They are anemone like animals which build calcareous skeletons and form colonies. If they don't fossilise, they form limestones. The ones that happen to fossilise can be hard to distinguish from actual corals because their similar look and feel. They can also be mistaken for fossils of sponges, algae or bryzoans. Corals are mainly found in tube-like or tree-like fossils. Fish fossils are the earliest fossils of vertebrates. Fish were the first animals to form bone, vertebrate and the substance that forms teeth. The earliest fish - the jawless fish, first evolved during the Silurian and Devonian Periods. Fish fossils are common and can come as teeth, bones or entire skeletons. Many fish fossils are preserved when they are buried under volcanic ash. Whale fossils are much, much less common fossil types as should be expected. While the first mammals evolved during the Cretaceous Period, mammals (which whales are) only started widely spread after the extinction of dinosaurs 65mya. Being marine mammals, however, they are more likely to fossilise than land mammals, because of the conditions which favour fossilisation. 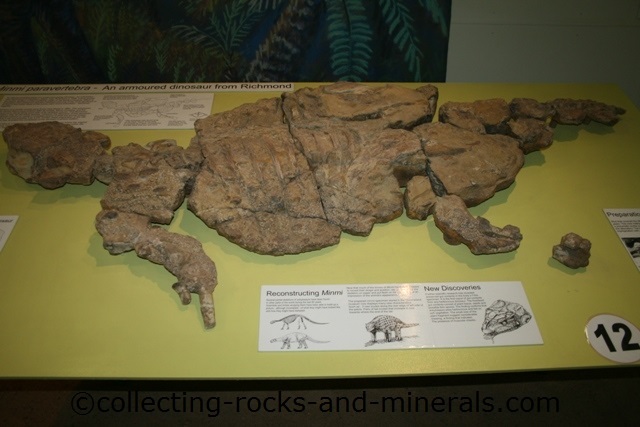 Dinosaur fossils are fairly common fossil types. They were the dominant animals during the whole Mesozoic Era - during the Triassic, Jurassic and Cretaceous Periods. They can be anything from fossilised dinosaur tracks to teeth, bones, or almost entire skeletons. While some have been found on all continents, a famous deposit is the Dinosaur Quarry, in the western US. 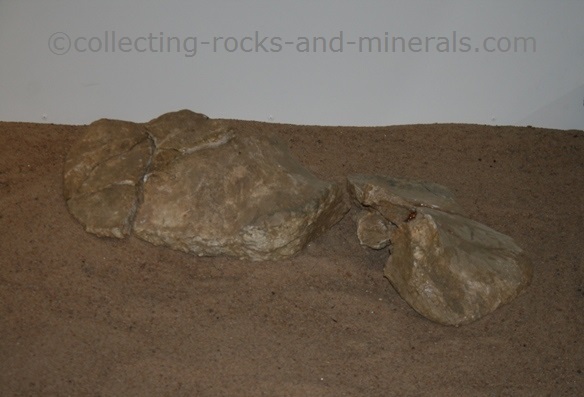 Dinosaur egg fossils are very, very rare fossil types. Some of the more famous ones have been found in France, South Africa and China. 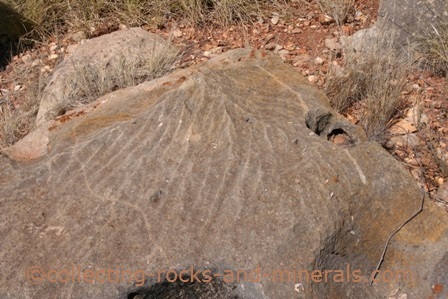 Most often they are trace fossils, which means that only the outside of the eggs has been preserved and embryos have not been preserved.